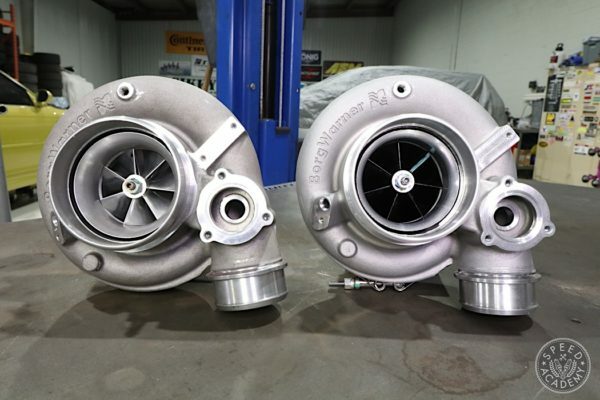 Before hitting the road on a week-long motorsports adventure with the rest of the teams registered for the Ontario-1500, we made a couple of important last-minute additions to our bags of tricks. 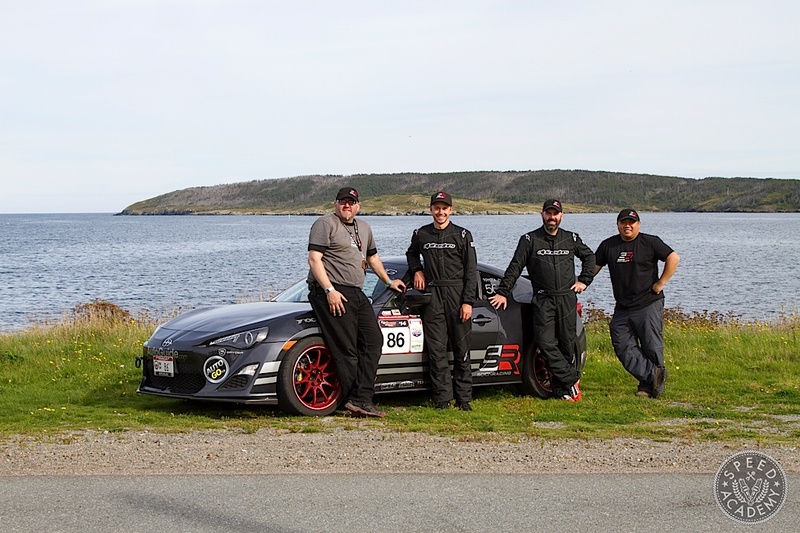 Last year we wore a full compliment of Alpinestars racing apparel for Targa Newfoundland, and although that gear served us extremely well and was a big hit with the ladies of Newfoundland (at least in Peter’s case), we wanted a fresh new look this year to go along with the new look we’ve given our Scion Canada FR-S. 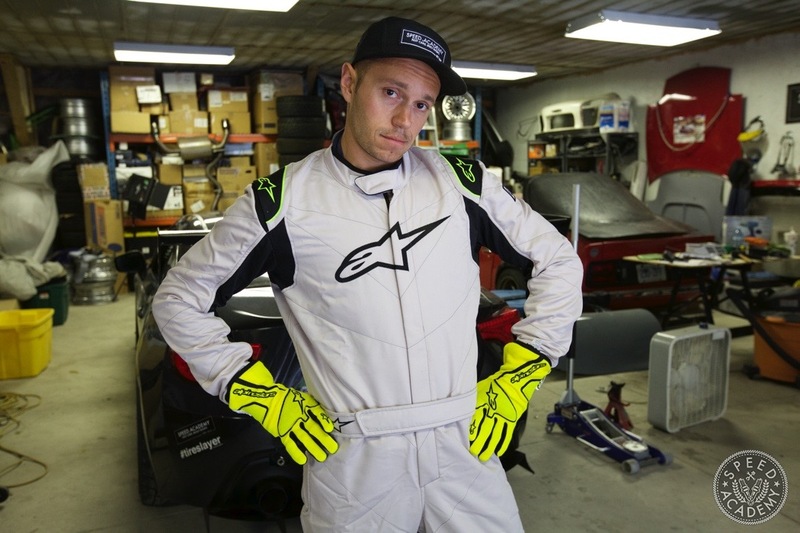 Turns out Alpinestars makes the 2015 GP Race Boot Cut Suit in a light grey and black combo with fluorescent yellow highlights on the shoulders, and if you’ve seen the FR-S this year then you know we’re all about fluorescent yellow highlights. Ladies of Ontario, feel free to add this picture of Pete in our new Astars gear to your collection. With any luck, you’ll be able to track his progress during Ontario-1500 with your Tinder account. 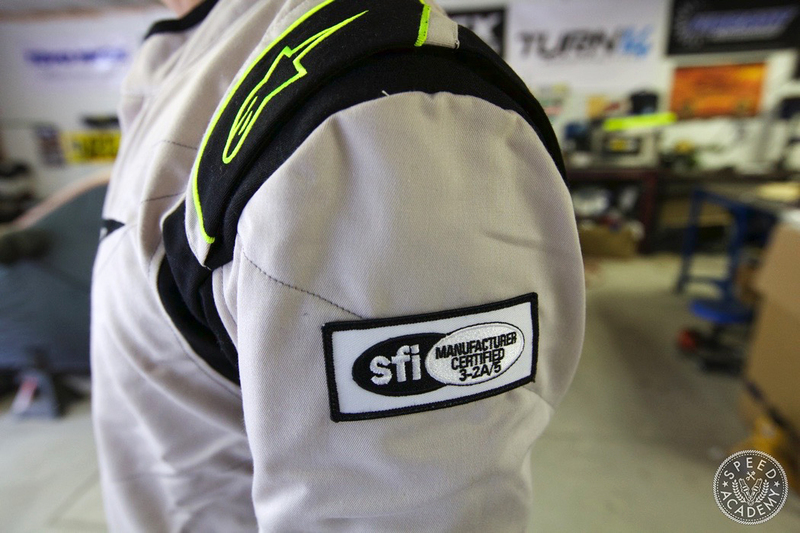 At a price point of $799, the GP Race suit is within reach of grassroots racers like us yet incorporates a lot of the technology used in their higher end suits, including FIA/SFI certified 3 layer Aramid construction and fully floating arm construction and an elasticated stretch panel on the lower back for excellent comfort and freedom of movement. 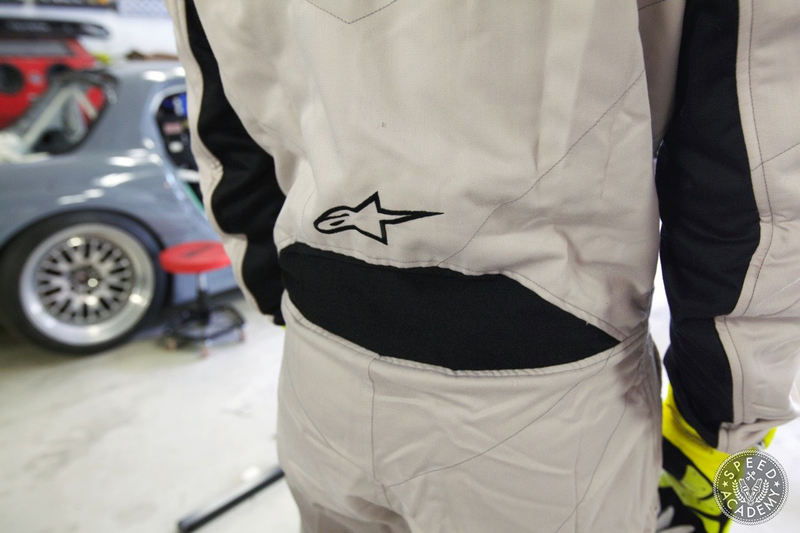 It’s also lightweight and close-fitting with internal flat seam construction for improved comfort while strapped into our Recaro racing buckets, and its anatomical arm, leg and torso paneling means the suit won’t be pulling on our shoulders or otherwise fighting us when we’re in the seated position. Plus it’s really comfy for those Hulk Hogan full upper body flex poses. 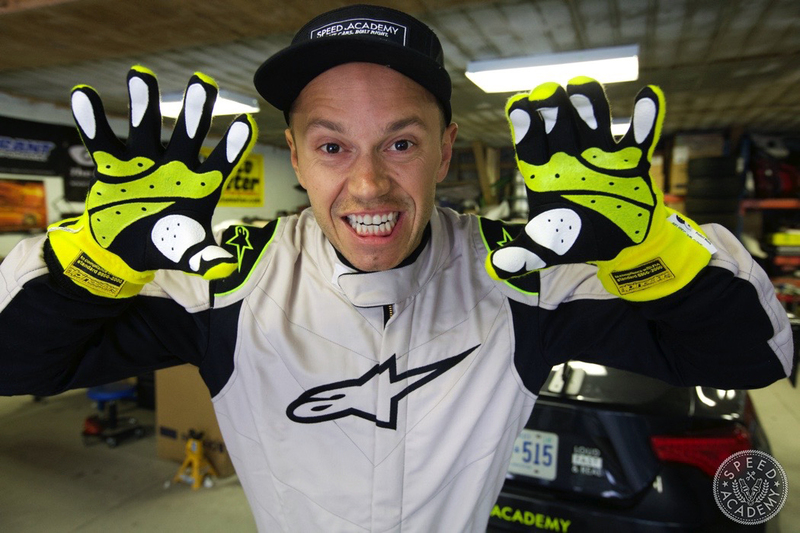 Alpinestars also hooked us up with bright yellow Tech 1 Race Gloves. 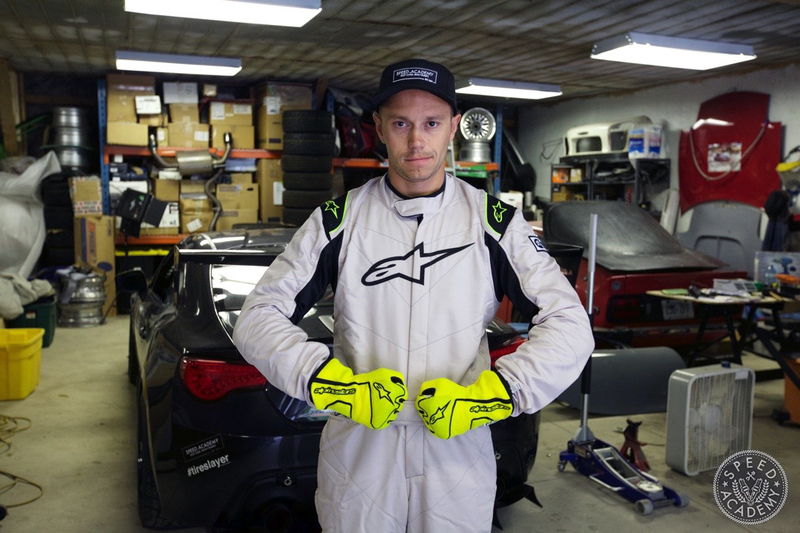 I’ve personally been using Alpinestars racing gloves for over a decade now because of the outstanding comfort and grip they provide, and the Tech 1 certainly lives up to my high expectations. 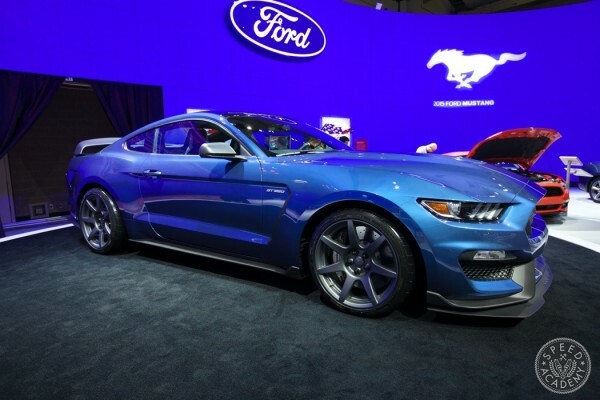 We especially like the silicone printed palm and finger areas, which offer fantastic grip on the steering wheel and shift knob without adding bulk or reducing feel. Note that Pete’s also an excellent flosser. Dental hygiene is important, kids! The Tech 1 glove also has minimal seam construction and pre-curved finger structure to ensure maximum comfort and to reduce fatigue when wearing them. 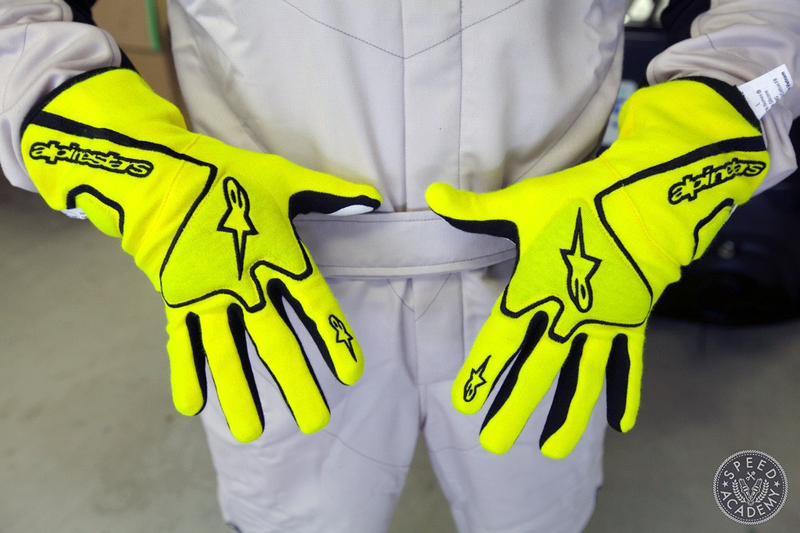 At just $99, these are a heck of a good value for a FIA certified fully Nomex lined racing glove, and the colour is obviously right up our alley. 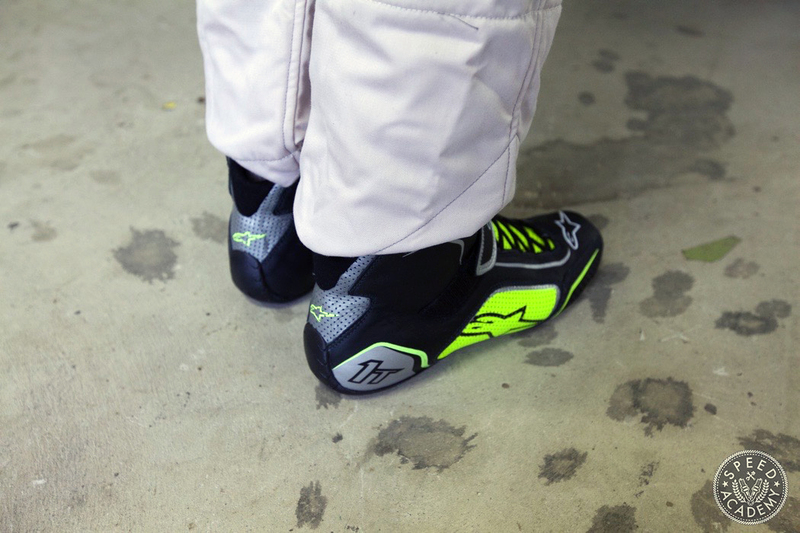 Last but not least are these Tech 1-T racing shoes from Alpinestars. The colour combo was the seductress that drew us in, but we’re also happy to report that these $269 shoes live up to the price tag thanks to the use of premium quality materials inside and out, including a full-grain leather outer layer with strategically positioned perforation zones for improved breathability. As you’ll see in our video, the Tech 1-T is also excellent for doing the Moon Walk in, thanks to its weight-saving rubber-compound textured sole. Oh, plus the sole offers outstanding grip on a carpet-less floor like our Scion has, and the ergonomic polypropylene heel provides support, protection and stability for those pesky heel & toe downshifts. 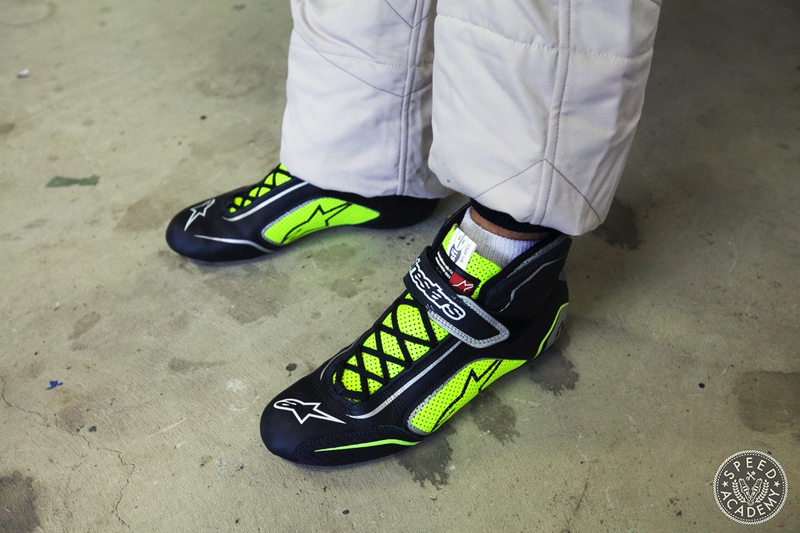 It’s a seriously high tech shoe that’s lightweight, comfortable, and scores very high on the baller status alert when strutting around the paddock at the race track. 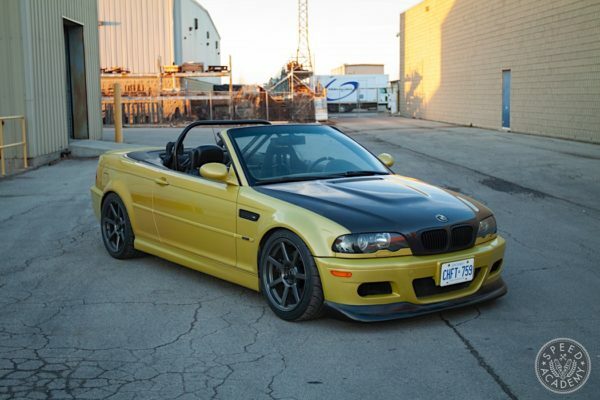 Our buddy Vinh, our team manager for Targa and our videographer chauffeur/assistant for Ontario-1500, was suffering from serious shoe envy, that’s for sure. All in all, we’re stoked to be rocking such a comfortable and stylish collection of Astars gear, since we’re going to be living in them for a week straight. 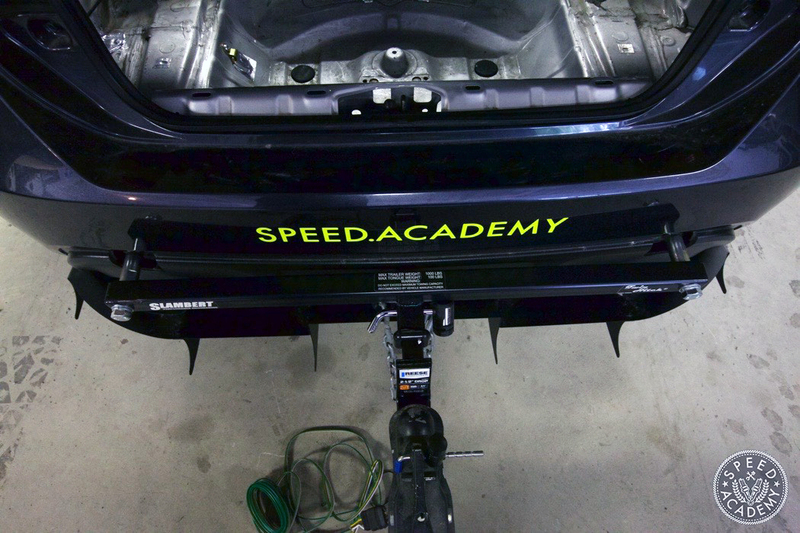 The other key addition we made was this ingenious tow hitch receiver from Slambert Performance. 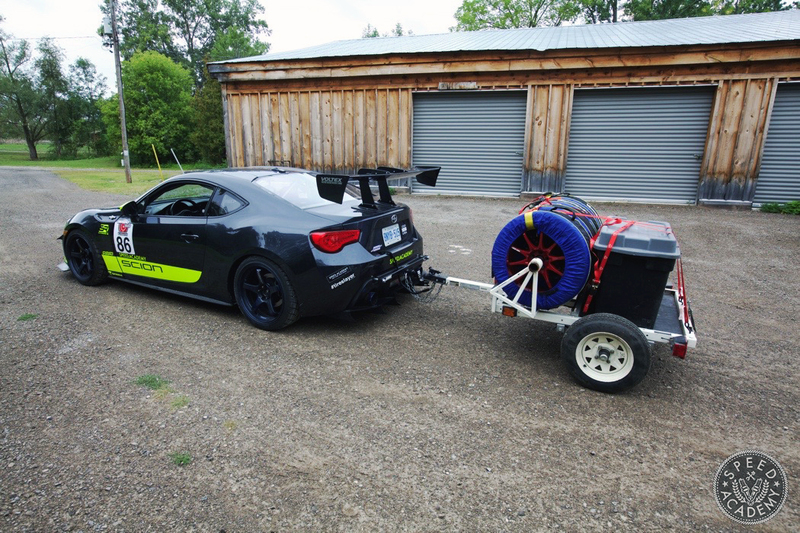 I did a bunch of research on hitch receivers for the FR-S and all of them would have required us hacking up our Driveway Labs rear diffuser, except for the Slambert Twin Hitch and its clever use of the existing tow hook locations in the rear rebar. The Twin Hitch comes with all the hardware required for a quick and easy installation (literally a 5-minute job). 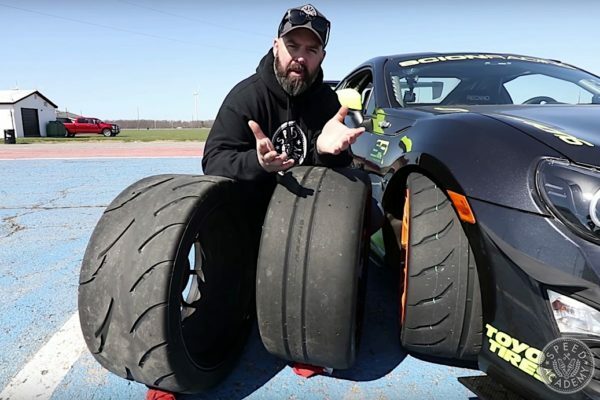 It’s also built to SAE J684 standards, uses a standard 1-1/4” receiver and is rated at 1000-lbs max trailer weight and 100-lbs max tongue weight, which we were well under with the lightweight tire trailer we borrowed from Speed Academy shopmate Ken. All we had to do was add a trailer brake light wiring kit to the FR-S and we were ready to roll. We’d also like to give a special shout out to Shawn at Slambert Performance, who shipped us our Twin Hitch on very short notice and while on the road to the Solo Nationals in Nebraska. Talk about customer service! 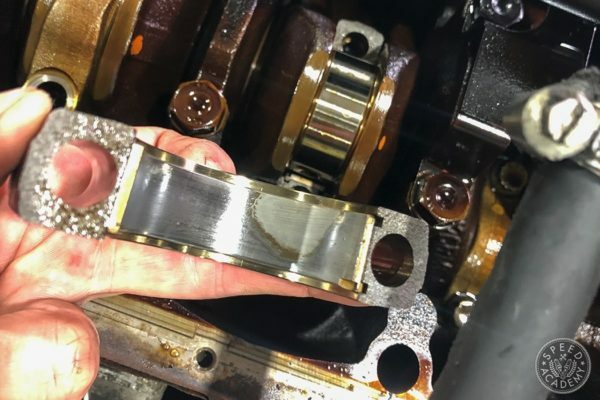 With these last details wrapped up, we were finally ready to hit the road for Canadian Tire Motorsports Park, where the first of seven straight days of racing would commence. And as you can see from this video covering these final mods, we were pretty pumped about the adventure that lay ahead. Next up we’ll have a series of 7 videos covering each day of Ontario-1500, which we hope to release over 7 straight days once Pete’s worked his video editing magic.